Metals – They are natural substances that become pollutants largely due to human activity. Mining and smelting releases them from rocks. They damage cells by binding to DNA and proteins. Also, metals present in wastewater can combine with carbon and hydrogen and form highly toxic compounds. These can accumulate in fish and poison humans that consume them. Fossil fuels and crude oils – Burning of fossil fuels releases harmful air pollutants. Two examples are carbon dioxide (which is majorly responsible for global warming) and sulfur dioxide (which forms acid rain that damages plants). Crude oil spills, like the BP spill, can kill many fish and birds. Polychlorinated compounds – These compounds contain multiple chlorine atoms, hence the name. In many countries, Polychlorinated Biphenyls (PCBs) have been banned as they can cause cancer. But they are still present in the environment as they do not break down easily. Polychlorinated Benzodioxins (PCDDs) are very toxic, and produced during formation of other compounds. Polychlorinated Phenols (PCPs) are found in a few industrial discharge. Some PCPs can interact and form PCDDs. Fertilizers – Nitrogen and phosphorous fertilizers are used extensively in agriculture. They enhance aquatic plant growth which can kill aquatic animals (as plants take up all the oxygen). If babies consume drinking water heavily contaminated with these fertilizers, they turn blue as the fertilizers prevent the red hemoglobin protein from transporting oxygen in the body. Detergents – Sewage plants can release discharges that contain detergent into water bodies. Detergents are also used to disperse oil spills in water. They contain chemicals that can disrupt the function of hormones. Pharmaceuticals – Sewage plants can also release drugs like oral contraceptives into water bodies. Oral contraceptives contain the female hormone estrogen and this can cause male aquatic organisms to become feminized and infertile. Radioactive isotopes – They are found in cosmic rays and are formed from the natural breakdown of radioactive elements. All humans are exposed to it, though usually in very low concentrations. But accidents in nuclear power plants or use of atomic weapons can result in high exposures, that can result in radiation poisoning and cancer. Nanoparticles – They are very small-sized particles that occur naturally and can be engineered. They are used in several paints, sprays, cosmetics, pesticides, etc. Their effect on the environment is largely unknown. Plastics – Plastics contain chemicals like phthalates and bisphenol A. These chemicals can mimic human hormones and disrupt their functions. Microplastics – When plastic breaks down and becomes the size of a sesame seed or smaller, it is called microplastic. A lot of plastic gets dumped into oceans and this can affect the health of aquatic organisms. But microplastics have also been found in human poop. It has been shown to damage the liver and intestine in animals. 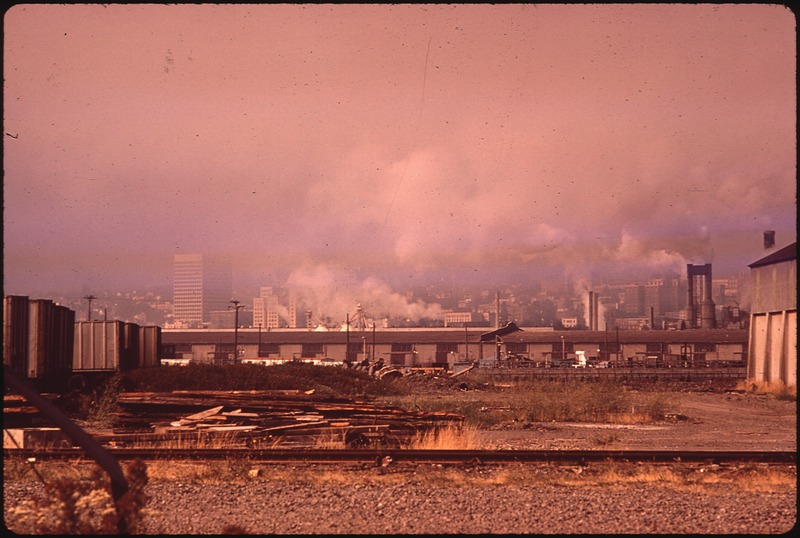 Previous Environmental toxicology laws in the U.S.